We love photographing engagement rings, and especially love the contrast of this ring we photographed at Greenfield Park and Gardens in Wilmington. 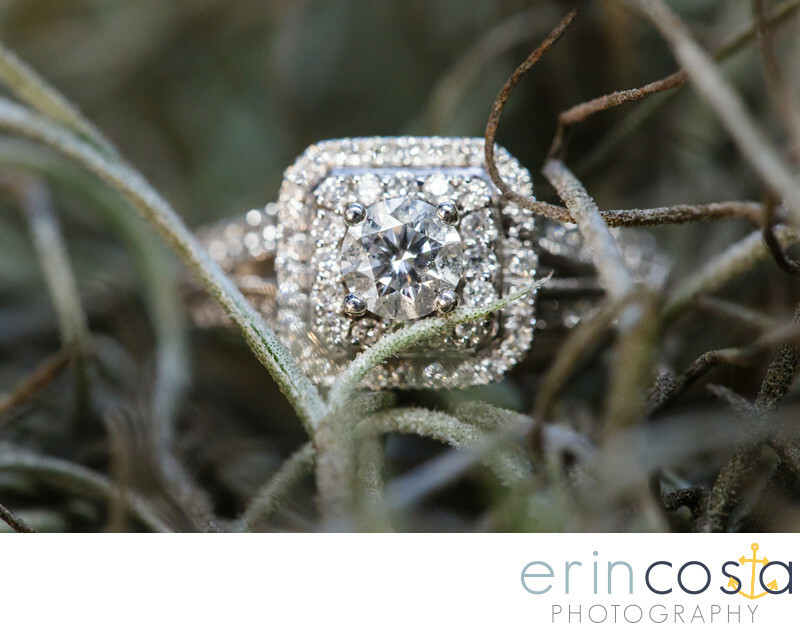 We describe this image as a "diamond in the rough" and love the contrast of the beautiful diamond ring among the moss and vines. Greenfield Park and Gardens is another beautiful park and option for engagement photos in Wilmington, NC. Location: Greenfield Park & Gardens.